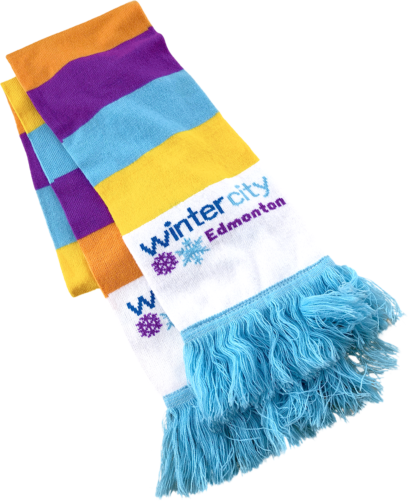 From each purchase of WinterCity scarf, $10 will be donated to the Boyle Street Winter Warming Bus. Scarves are $20 each and can be purchased from the following local retailers. Find Retail + Donation Centre – Both Find shops offer used furniture and accessories, with the proceeds staying in Edmonton to benefit individuals and families moving out of homelessness. While there, you can also purchase a Raising the Roof toque. The Grizzlar Coffee & Records – This local coffee shop provides coffee to Boyle Street Community Services. Click here to support their Fuelin’ Boyle Street program. The Nook Cafe – While visiting this café, ask about supporting their Suspended Coffees program.